Virginia weather is famously unpredictable, so it’s important to protect your home against rapidly fluctuating temperatures. 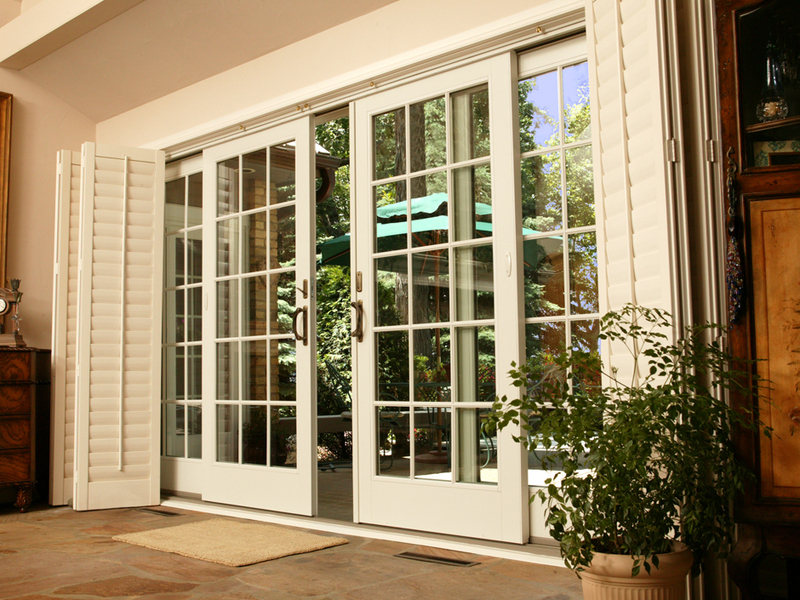 Because of these temperature swings, you may find yourself paying higher heating or cooling bills thanks to old or outdated patio doors. 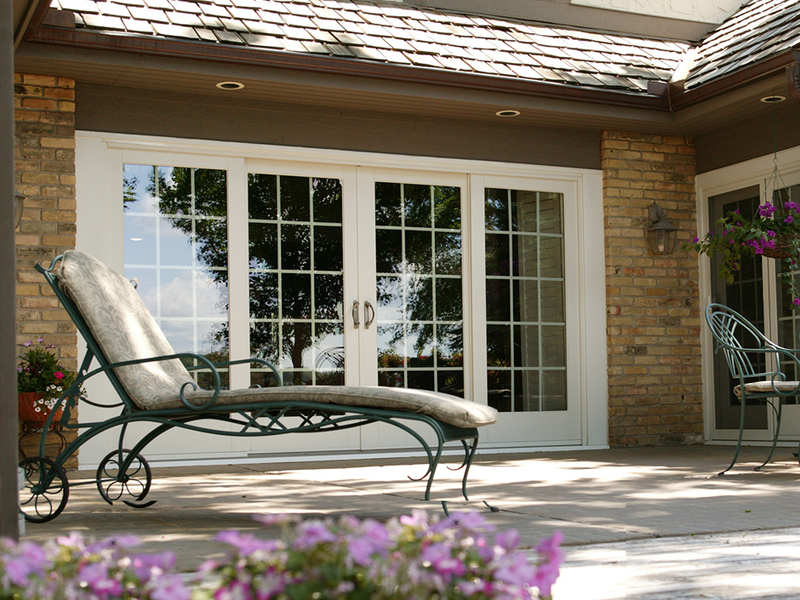 Renewal by Andersen provides professional custom-built patio doors that can keep your family comfortable in style with French hinged, French sliding, or contemporary sliding glass patio doors. Easy function, even following years of consistent opening and closing. Various grille, hardware, and color combinations to match your décor. Durable construction for total internal temperature control. 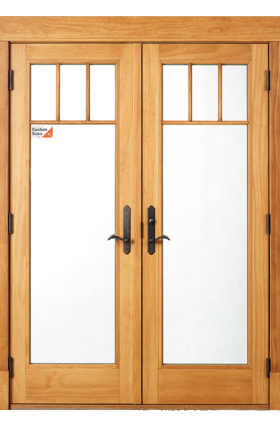 Contemporary sliding patio doors by Renewal by Andersen offer the highest glass-to-door-frame ratio of all our patio door styles. These are for the homeowner that really wants to bring the outdoors in, while also staying cool and comfortable in the house. 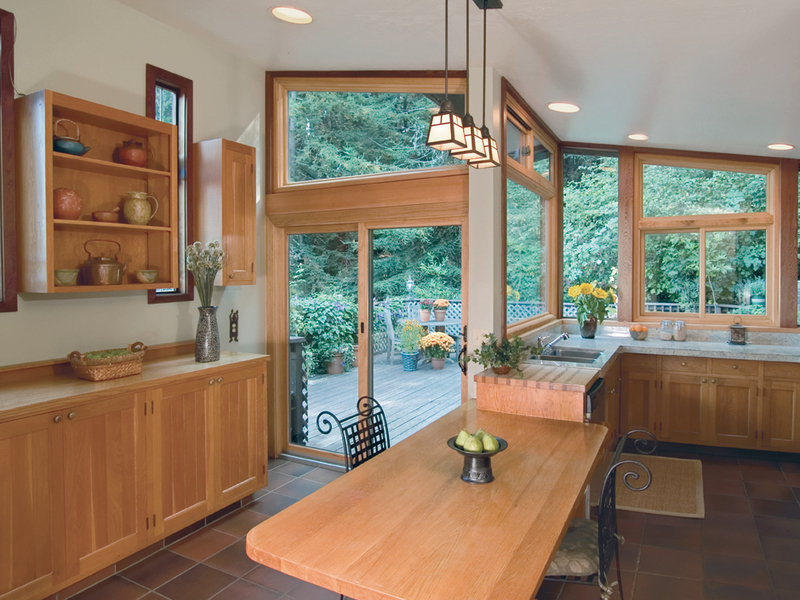 Sliding glass doors are also built to last. 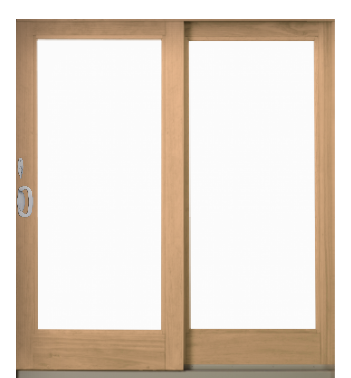 Despite their minimalistic appearance, all Renewal by Andersen doors are made with long-lasting materials that are sealed against the elements. 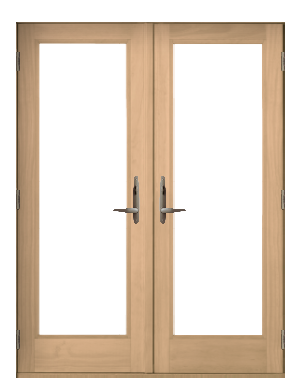 Plus, our sliding doors feature heavy duty ball bearings, ensuring effortless use for years. They are also warranted to close tightly with a dual-latch lock for security as well as energy-saving benefits. 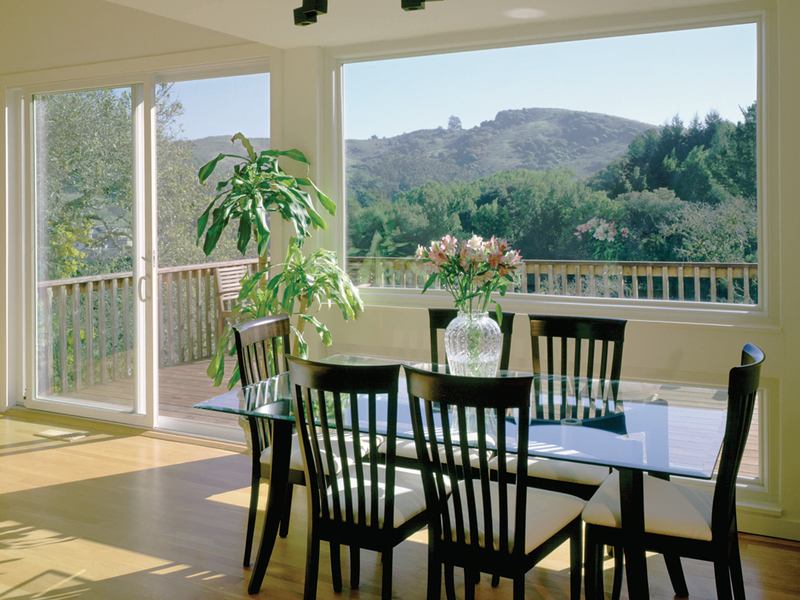 For optimal scenery, light, and efficiency, the sleek Renewal by Andersen contemporary sliding glass door provides. 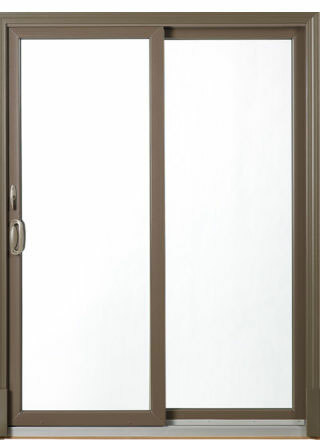 Renewal by Andersen hinged French patio doors are a timelessly classic style. You can install one in your home to match an established historical look, or complement any type of home with their sturdy, sophisticated construction. Hinged French doors are improved by our many grille varieties, too. 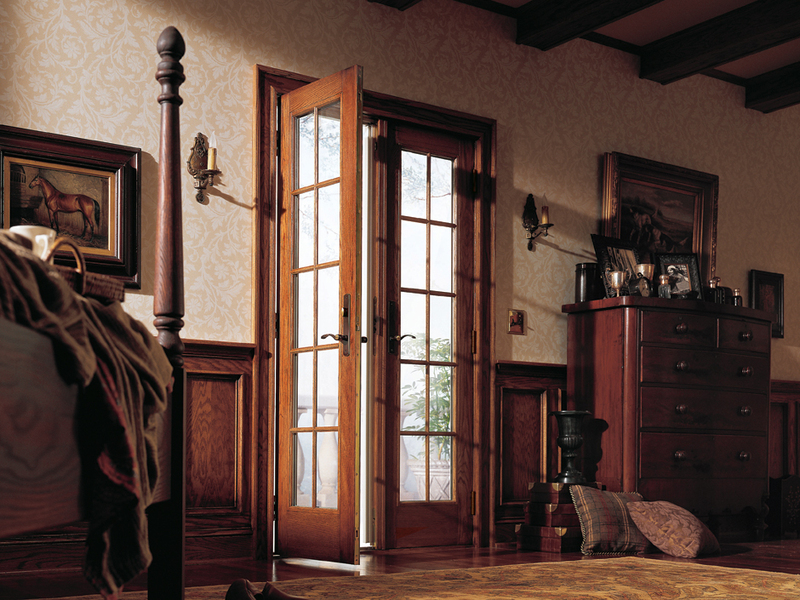 Try colonial, prairie, or one of two types of fractional grilles to further incorporate that quality traditional style. And, as with all Renewal by Andersen patio doors, you can complete your design with a range of hardware options that add security to an already sturdy patio door. 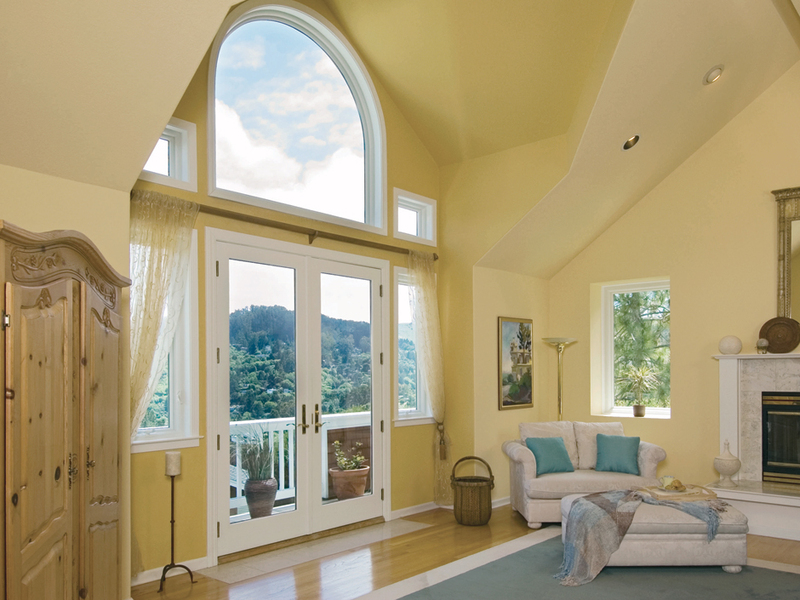 Learn more about the Hinged French patio door in the featured Renewal by Andersen video below if you love the idea of wide views and classic style. 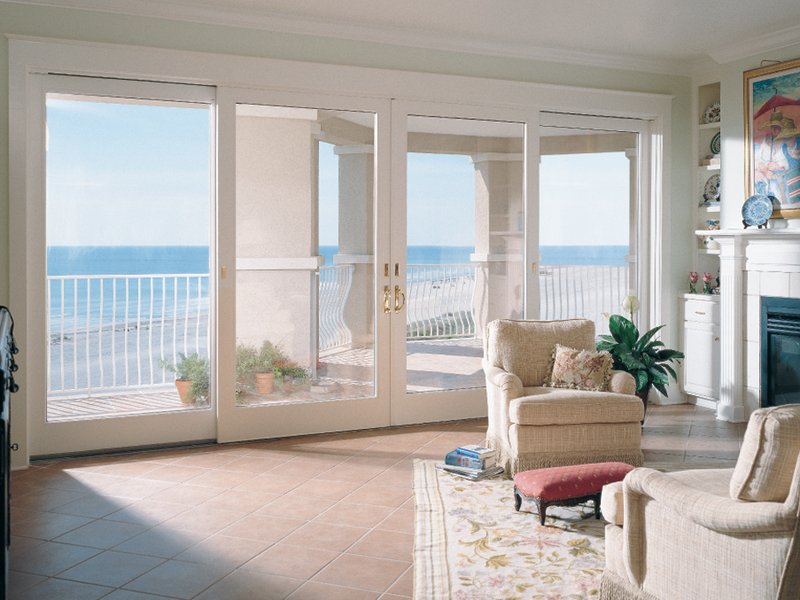 Can’t decide which of the above Renewal by Andersen patio door types you prefer? 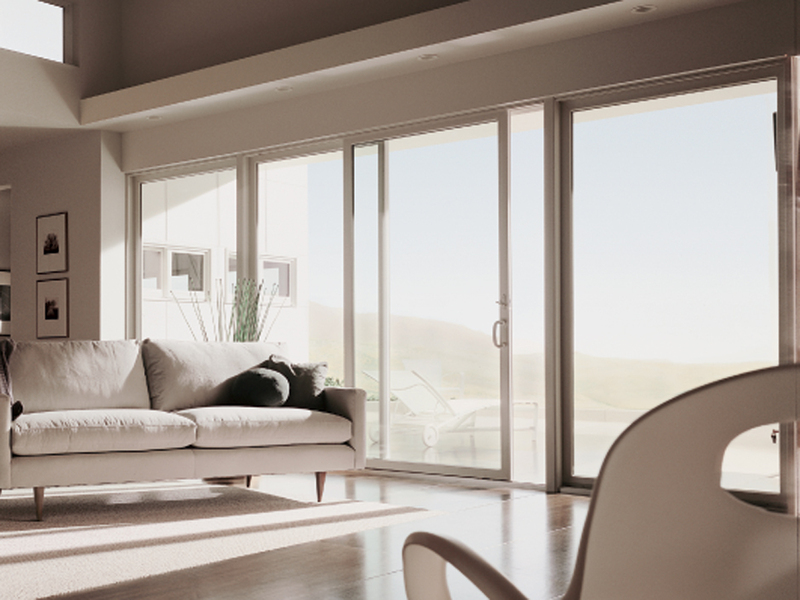 You can experience the greatest features of both when you choose a sliding French patio door—exclusively offered in Charlottesville by Renewal by Andersen. 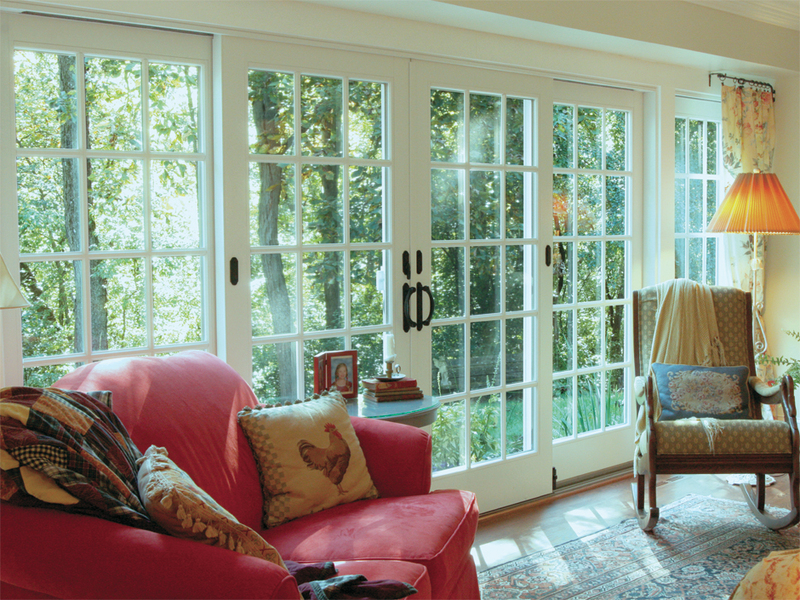 Sliding French patio doors combine the sturdy, timeless look of hinged doors with the functionality of contemporary sliding types. 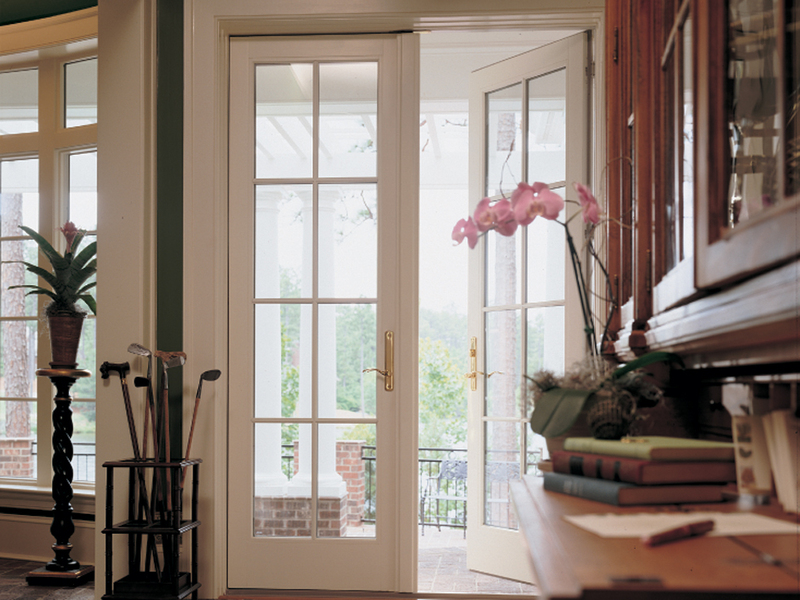 You can even achieve a similar style to the hinged French door with the same range of colors and grilles. Plus, sliding French doors are just as weatherproof as other Renewal by Andersen doors, and are also known to be almost entirely soundproof. 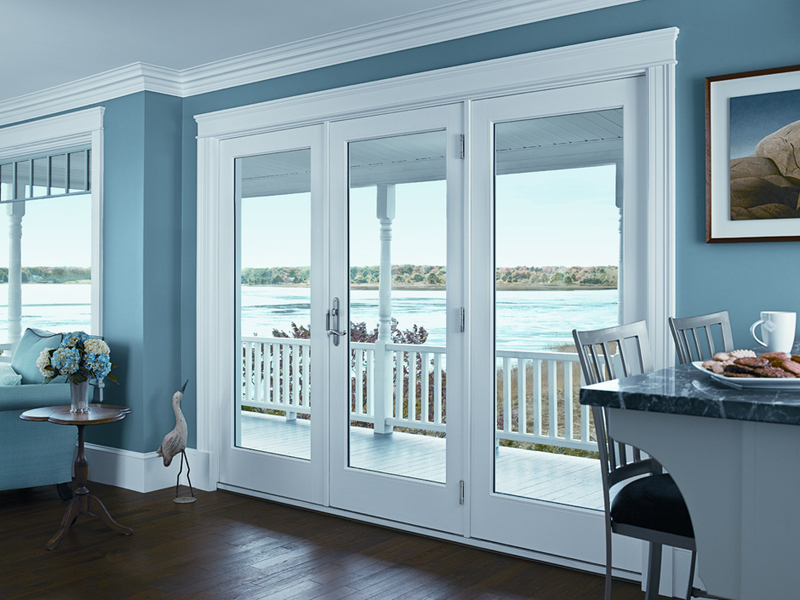 With so many options and an energy-saving promise, it’s easy to see why the sliding French style is Renewal by Anderson’s most requested patio door.